Here's the graphic novel for the person who isn't sure about graphic novels – and the one to amaze fans of the genre. This smashing trilogy of mysteries starring John Blacksad, P.I. (who happens to be a cat), has received nearly a dozen international awards, and for good reason. The stories are page-turners in classic noir style, the concepts are intriguing, the artwork is superb, atmospheric & brimming with period detail. I love it! Juan Díaz Canales is a Spanish animation artist and comic book author. He is best known as the cocreator of Blacksad series with artist Juanjo Guarnido. Originally published in French and Spanish, the series has been translated into many languages and won two Eisner Awards and an Angoulême Prize. At an early age, Juan Díaz Canales became interested in comics and their creation, which progressed and broadened out to include animated films. At the age of 18, he entered a school for animation. In 1996 he founded, together with three other artists, a company called Tridente Animation. Through this, he has worked with European and American companies, providing plots and scripts for comics and animation films, as well as directing animated television series and animation movies. During this period he met Juanjo Guarnido, with whom Canales decided to create comics based around a private investigator, Blacksad. After contacting several editors, Guarnido and Canales finally signed on with French publisher Dargaud, and in November 2000, Somewhere Within the Shadows was published. It was a great success with both critics and the public, and was awarded the Prix de la Découverte at the Sierre International Comics Festival and the "Avenir" Prize at the Lys-lez-Lannoy Festival, in Switzerland and France respectively. In March 2003 the second album Arctic-Nation, was released. It was once again a great success, winning the Angoulême Audience Award and the Festival Prize for Artwork in 2004. 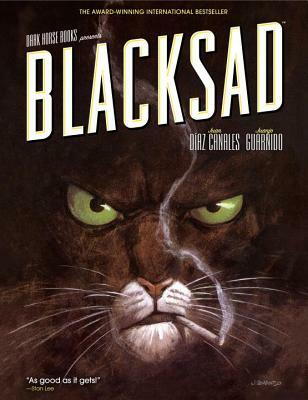 The third instalment of the Blacksad series, Red Soul, was published in 2005. In 2006 it was awarded the Angoulême Prize for a Series. The author lives in Madrid, Spain.